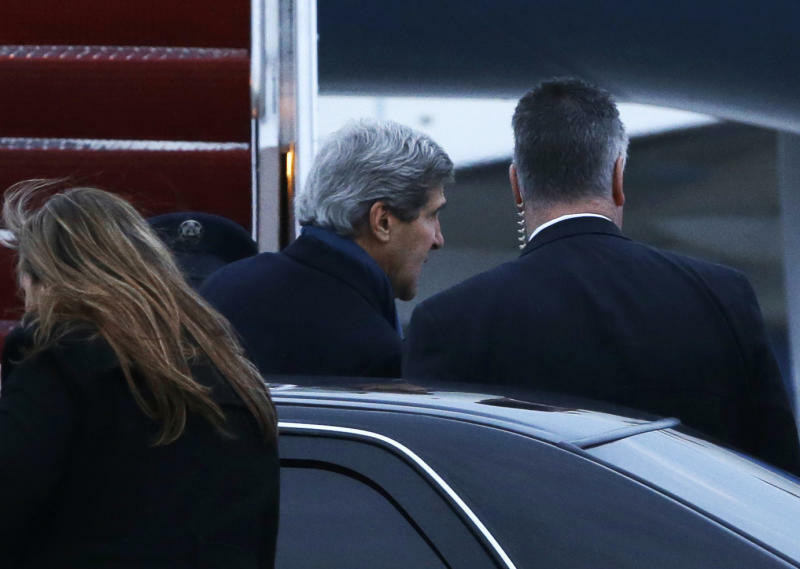 WASHINGTON (AP) — John Kerry embarked Sunday on his first official overseas trip as secretary of state, hoping to bring new ideas to Europe and the Mideast about how to end nearly two years of violence in Syria. Kerry's nine-nation, 10-day trip will take him to America's traditional European allies of Britain, Germany, France and Italy, along with Turkey, Egypt, Saudi Arabia, the United Arab Emirates and Qatar. In addition to Syria, he will focus on conflicts in Mali and Afghanistan, and on Iran's nuclear program. Kerry has said he is eager to discuss new ways of persuading Syrian President Bashar Assad to step down and usher in a democratic transition in the country that wracked by escalating violence that has killed at least 70,000 people. Kerry, a former Democratic senator from Massachusetts who succeeded Hillary Rodham Clinton in President Barack Obama's second-term Cabinet, has not offered details of his ideas but officials say they revolve around increasing pressure on Assad and his inner circle. 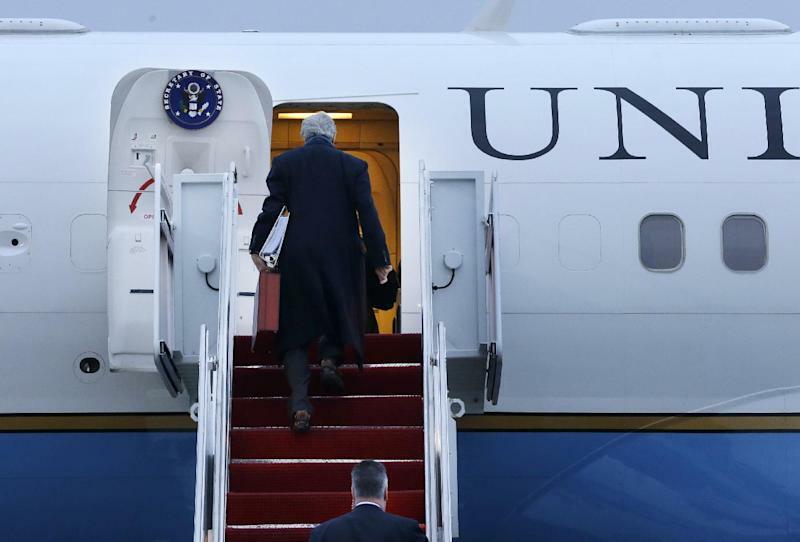 Kerry's first stop is London, where he will hold talks with British officials on a range of issues, from Afghanistan to the status of the Falkland Islands. Britain is in a major dispute with Argentina over the Falklands. In German, Kerry will discuss trans-Atlantic issues with German youth in Berlin, where he spent time as a child as the son of an American diplomat posted to the divided Cold War city. He also will meet with Russian Foreign Minister Sergey Lavrov in the German capital. In Paris, Kerry plans to discuss France's intervention in Mali, while in Rome he'll attend a meeting with Syrian opposition leaders. U.S. officials have said the trip will be primarily a "listening tour" when it comes to Syria and won't result in immediate shifts in U.S. policy that has until now stayed clear of military support for the rebels fighting Assad. Despite the numerous Middle East stops. 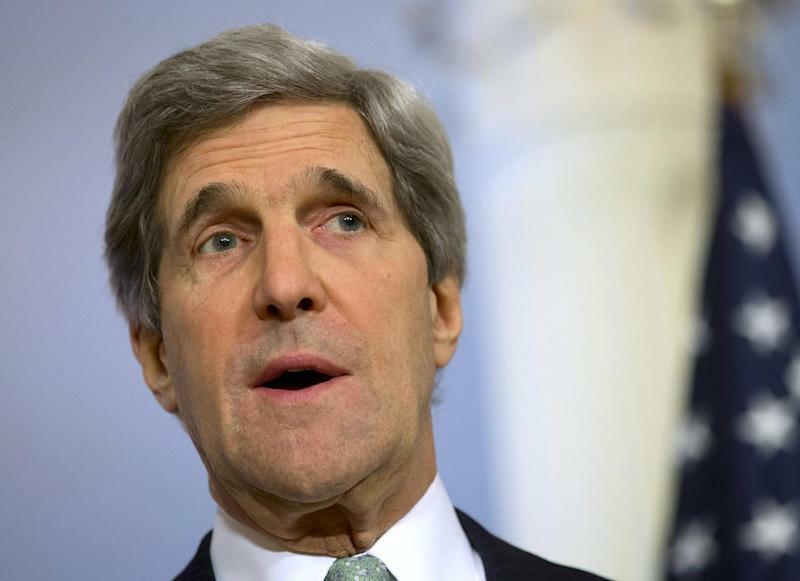 Kerry will not travel to Israel or the Palestinian territories. He will wait to visit them when he accompanies Obama there in March.